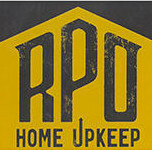 RPO HOME UPKEEP is a company that has been serving the areas of Harrisonburg, Staunton, and Waynesboro for 8 years now. We have been helping Home Owners, Realtors, and Apartment Owners, keep their investments kept up for years of enjoyment. Rodney will come out and look at your issues and will let you know that it will be fixed right and put everything back as if it never happened. There is no job too big or too small for us to complete for you. 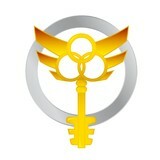 We are willing to help you maintain the upkeep of your investment. "Honest & Dependable" TBM Maintance is here for all of your indoor/outdoor needs, call Jerry today! Let’s face it: we aren’t all skilled in the home repair department. A Charlottesville handyman, however, should be able install or repair just about anything in your home. From hanging pictures to repairing appliances, they do it all. Most local handymen in Charlottesville, VA are capable of completing any basic home repair, though some may specialize in different skills than others; so if you’ve got a specific job in mind, make sure the handyman service you consider hiring is up to the task. 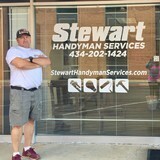 What can a local Charlottesville handyman do? While home handyman services in Charlottesville, VA usually cover most of these things, sometimes it’s better to hire a specialized professional so do certain jobs, especially if it’s related to major plumbing or electrical fixes. Here are some related professionals and vendors to complement the work of handyman: Heating & Cooling Sales & Repair, Plumbers, Electricians, Roofing & Gutters. 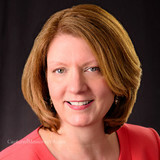 Find a Charlottesville handyman on Houzz. Narrow your search in the Professionals section of the website to local handyman servicesin Charlottesville, VA and read reviews and ratings to find one that fits your needs.